Following the heart issues he suffered at the Australian nationals, Will Walker has undergone an operation to implant a defibrillator and ensure the issue doesn’t reoccur, has finalised his retirement from the sport and will move into a coaching position with the Synergy Baku team. His place on the team will be taken up by Irishman Philip Lavery, who had walked away from the sport frustrated after not being able to secure a pro contract for 2014 but who will now return with the Azerbaijan-based squad. “The ventricular tachycardia I encountered at the national championship was enough for me to instantly decide that I was not ever going to race again,” said Walker in a team statement. “I had a clean bill of health while riding for Drapac the last two years, apart from a light episode at the Tour of the Great South Coast, and looked to be staying comfortably on top of it. However on the day of the road race, I knew something was not right, but I pushed through it, I had worked hard, was in great shape and had made a good split in the race that would have put me into a great position to gain a result. Walker admits that he was close to dying as a result of that, and got a very bad scare. That led to further complications for him and he underwent heart surgery in recent days to ensure that the issue doesn’t happen again during day to day living. “I had a procedure to get an ICD [implantable cardioverter defibrillator – ed.] that has pacemaker functions. I am now on beta blockers. 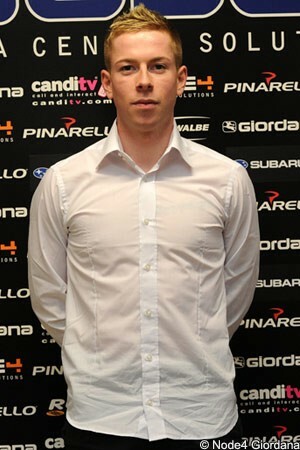 One of those he will be dealing with is Lavery, who competed in the past with the An Post Sean Kelly and the Node4 Giordana Continental teams, and who had a trial with the Cofidis team last year. The national road race championship runner-up performed well, netting sixteenth in the 1.1-ranked Châteauroux Classic de l'Indre - Trophée Fenioux and fifteenth on stage five of the 2.1-ranked Tour du Poitou Charentes. However the collapse of several teams caused the market to be saturated with riders looking for contracts. He had hoped to land a deal with Cofidis if it turned WorldTour but when that didn’t happen, the slot he was chasing vanished. “I'm very grateful to the Baku team and staff for the opportunity to continue my career in a winter that has been very difficult to secure a contract,” he said, reacting to the new deal. The former Irish under 23 champion will make his debut in six days’ time at the GP Izola in Slovenia. 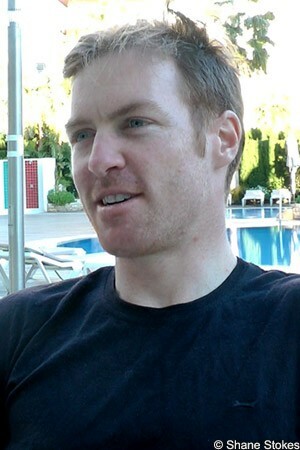 He added that the team’s performance manager David McCann had recommended the signing of Lavery once a place became available. Walker helped the team out during the recent Jayco Herald Sun Tour and will continue to do so. “In Will's case or scenario he was never under pressure from us regarding his immediate future,” said McQuaid, “and I had the chance to sit with him face to face at the Sun Tour for a good talk. The ventricular tachycardia I encountered at the national championship was enough for me to instantly decide that I was not ever going to race again. I had a clean bill of health while riding for Drapac apart from a light episode at the Tour of the Great South coast and looked to be staying comfortably on top of it. However on the day of the road race, I knew something was not right, but I pushed through it. I had worked hard, was in great shape and had made a good split in the race that would have put me into a great position to gain a result. Pushing through in hindsight was not a wise move and the result of that was sustained ventricular tachycardia for nearly an hour at 270 beats, and by far the worst episode I have ever had. Looking back at that day makes me feel happy that I still have my life but that I was also able to give cycling a second chance and thanks are certainly due to Michael Drapac and Synergy Baku for their belief. Andre La Gerche (cardiologist) recently said to me that my comeback was similar to making a comeback in football after knee surgery, and that it was improbable that I would return to my very best. It turns out that once I got close to my best form the problem returned. I will continue to be tested and look at returning in the safest way to normal life through the supervision and guidance of Dr La Gerche ,who is known as a world leader in sports cardiology. But one easy solution is just to cancel my racing license! Looking back at my career, I am extremely satisfied with my results. My Elite and Under 23 Australian championship at the same time is the highlight, but so too are my second in the Under 23 Worlds in Madrid in 2006, the two Grand Tours I rode, the Commonwealth games and the World Championships I competed in. Working with Aldo Sassi was an absolute honour and something I will cherish for the rest of my life! He was not just a great coach but an amazing person, and I truly learned a lot about life from him. I think he would be very happy to see that I have decided to stop racing again so that I can concentrate on looking after his daughter, to whom I am engaged. Into the future, my intensions are to stay involved with the Synergy Baku cycling team. However in what capacity that is is still to be discussed. Seeing a project grow from ground up will naturally be a very exciting process and I hope I will be able to have some great input into mentoring and looking after the upcoming riders.